Apple late Thursday issued a statement responding to, and refuting, anti-competition claims leveled by Spotify this week, a rare move for the tech giant who typically refuses to publicly engage competitors lobbing legal accusations. In a press release published to Apple's website, the company says it feels obligated to respond to claims made as part of an anti-competition complaint Spotify lodged with the European Commission on Wednesday. While Spotify has yet to release a public version of the complaint, founder and CEO Daniel Ek outlined the grievance in a blog post. Apple's statement is in response to what it deems to be financially motivated "misleading rhetoric." "After using the App Store for years to dramatically grow their business, Spotify seeks to keep all the benefits of the App Store ecosystem -- including the substantial revenue that they draw from the App Store's customers -- without making any contributions to that marketplace," Apple says. "At the same time, they distribute the music you love while making ever-smaller contributions to the artists, musicians and songwriters who create it -- even going so far as to take these creators to court." Spotify's complaint focuses on Apple's facilitation and stewardship of the App Store, alleging the iPhone maker constructs artificial barriers to limit third-party services that compete with products like Apple Music. Apple's statutory 30 percent cut of all App Store purchases is central to Spotify's argument, as are supposed restrictions to customer data and technology. Together, the policies constrain user choice, Spotify says. Apple counters claims of discrimination by noting 84 percent of App Store developers do not pay Apple when users download or run their apps. Apps that are free to download or earn revenue through advertising are not charged the 30 percent fee. Transactions made outside an app are likewise not "taxed," as Spotify puts it, and Apple does not charge apps that sell physical goods or real-world services. The 30 percent fee applies only to "digital goods and services that are purchased inside the app using our secure in-app purchase system," Apple notes, adding that Spotify failed to mention the charge drops to 15 percent for subscription services that retain users for longer than one year. As framed by Apple, Spotify is seeking a free ride on the App Store. A bulk of Spotify's users make no contribution to the Apple since they use a free, ad-supported tier of the music streaming service. Only "a tiny fraction" of subscriptions are billable under Apple's revenue sharing model, and Spotify wants that number to be zero, Apple says. Let's be clear about what that means. Apple connects Spotify to our users. We provide the platform by which users download and update their app. We share critical software development tools to support Spotify's app building. And we built a secure payment system -- no small undertaking -- which allows users to have faith in in-app transactions. Spotify is asking to keep all those benefits while also retaining 100 percent of the revenue. The remainder of the statement addresses Ek's assertions point by point, taking issue with claims that it blocks access to products and hinders the release of app updates. So far, Apple says it has approved nearly 200 updates that resulted in more than 300 million Spotify app downloads, and only requests "adjustments" to submitted software when the streaming service attempts to "sidestep" developer guidelines. Further, Apple reportedly reached out to assist Spotify in the integration of Siri and AirPlay 2 "on several occasions" only to be told that the company is "working on it." "We found Spotify's claims about Apple Watch especially surprising. When Spotify submitted their Apple Watch app in September 2018, we reviewed and approved it with the same process and speed with which we would any other app," Apple says. "In fact, the Spotify Watch app is currently the No. 1 app in the Watch Music category." Ek in his blog post claimed Apple locked Spotify and other competitors out of certain Apple-run services, including Siri, HomePod and Apple Watch. Apple ends by dinging Spotify over its reluctance to pay out increased royalties to musicians, while at the same time touting its own contributions to creatives. Apple's relationship with Spotify was at one time relatively copacetic, but tensions mounted when Apple Music debuted as a market competitor in 2015. 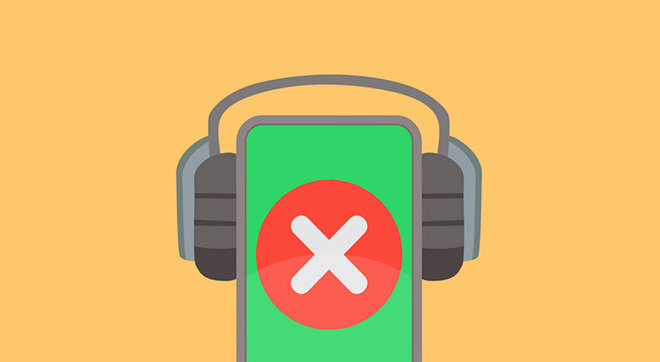 In the intervening years, Spotify and Ek have railed against alleged abuses of power, including so-called monopolistic practices relating to rejected app updates. Spotify's Wednesday filing with the European Commission is just the latest in a series of complaints lodged with the antitrust body. In 2017, for example, the streaming market leader filed two similar protests, one in May and another in December. Good response from Apple. I hope their lawyers beat the living bejesus out of Spotify’s . Well said. It would seem these actions are purely to make Apple look like a bad guy in public, and Spotify the underdog as their complaints will be unlikely to have any traction. Hopefully the court case against songwriters will get more publicity and show off who Spotify really are, VC bankrolled one trick ponies with a broken business model. They can offer a web app like YouTube does. Yeah that would not be in Apple's best interests...Blocking your competition is not the way to kill them off. It's only a good way to get an actual legit case against you. To be fair, Spotify has the choice to not use the App Store. Apple is only about 20% of the smartphone world thus Spotify is complaining about the cost of doing business with a subset of that user base. I suspect that the problem is with the revenue generated by the small subset of users is far greater than the larger set of non-Apple users. If Spotify raised the cost of their services to cover Apple’s “Tax” and offered such a compelling service that the users would gladly pay the cost or change their phones to non-Apple phones, then the problem would be solved. From what I have read, Spotify users prefer the service over Apple Music. I have no firsthand knowledge of Spotify service. So, I suspect that the preference doesn’t extend to relinquishing an iPhone for the difference in cost. It seems to me that Spotify is complaining that it costs too much to have customers that are willing to pay. I say ban the greedy bastards from the App Store and the platform all together. Ek is feeding off the rhetoric that collectivists like Elizabeth Warren and others in the US and Europe are spouting, that Apple is bad because it's successful, and that they're not properly sharing the fruits of their time and effort with the rest of us like they should. Given the apps I've seen on the App Store, Spotify is in no way being forced to pay Apple's "tax" on their app. As pointed out, they could model it after YouTube, but of course, that would involve them spending their own money on an infrastructure instead of taking advantage of Apple's. Who defines what a "free" app gets and what a "paid" app gets? The real headline should be: Apple wants to be both a player and the referee. Is that you, Daniel Ek? Apple is great in portraying itself as the „good guy“ or „victim“. Excellent press department. I’m not saying they are the bad guy in this context. However, given the ludicrous amounts of cash they are accumulating (with margins most other businesses can only dream of), I do wonder if 30% are necessary or greedy. Nice! Slam. Bang. Take that Spotify, what a whiner. Don't like, leave Apple Store. Everyone has a choice whether to offer apps on the App Store. The fact that the rules aren't to your liking doesn't mean you lack choices. Spotify's complaint is essentially that it doesn't like the App Store rules, and lacks a choice because it would lose money if it responded by pulling its app from the App Store. The problem with that argument (aside from the fact that there is no constitutional right to sell apps on the App Store) is that Spotify admits that it derives a huge financial benefit from selling on the App Store. And what difference does it make "what it actually costs Apple to render these service"? It's a free market economy, and there is no law that limits a company's profit margin. Even if the developer fees were 99.9% profit it would be irrelevant to Spotify's argument. If anything, it undercuts Spotify's argument that the purpose of the App Store is to exclude competitors. If Apple wanted to get an "unfair advantage" it could just as easily block music apps from the App Store and be done with it. There would be nothing illegal about that, and in fact Apple already bans apps that duplicate core iOS functionality. Spotify wants to raise prices and blame Apple for it. Not a pretty picture. Apple makes money from Spotify selling subscriptions on the App Store, so no, that would not be a good outcome from Apple. 1. If they allowed Spotify to let customers download their app directly from Spotify’s website and process their own payments then the cost to Apple would be virtually zero. There is only a cost here as Apple forced them to use the App Store. This goes to the heart of Warren’s desire to break up large tech companies. 2. Apple makes money from the sale of devices that have apps that people want. People apparently want Spotify on their iOS devices. Apps help Apple sell hardware so there is a symbiotic relationship, and it is not all one sided in favor of Apple. If there was no Netflix, Hulu, Amazon, YouTube etc on iOS there would be fewer iPhone sales. 3. Apple is trying to muddy the water with the claim about Spotify paying artists. This is a valid issue that needs to be addressed. But, considering that Apple apparently tries to pay creatives with goods instead of cash it is the pot calling the kettle black. You’re missing the point. Simply using the App Store does not make Apple take 30% of Spotify’s revenue. The only portion of revenue Apple takes is of in-app purchases for Premium, and that drops to 15% after a year. Spotify could easily go the Netflix, Hulu, etc. route and simply not offer in-app purchases, instead relying on customers to be smart enough to open up Safari and sign up there. Netflix, Hulu, all the streaming live tv platforms, Amazon, etc. don’t seem to struggle with this, yet Spotify can’t seem to figure it out. Desperate move from a desperate company. I mostly agree with you, especially now that the long term cut is only 15% and seems fair to me but what makes me a little uneasy is that this is a corporate giant that has 1. dominant share in handsets in the US among people that pay for services (probably), 2. on those devices, an app store that is the only means of installing apps, and i could be wrong here but i believe there is no linking or even advertising from apps to safari for payments, and 3. a competing music service, which is tied to the handset owner's credit card and therefore frictionless sign up. They are using their dominance in one place to squeeze out a competitor in another service.